These stools look great in my kitchen. They are not a pure white like my cabinets but close enough. There is very little padding on the seats so this is probably not where you will spend a lot of time hanging out. They are what I was expecting. With its chic European modern profile wrapped in white PU leather, the Garretson counter stool brings clean lines and sophistication to a kitchen island or family room bar. This clean-lined contemporary set of two is crafted with a sturdy iron frame. I can't tell you how thrilled i am with these stools. They look like i paid THOUSANDS. Very comfortable and high quality. The packaging was impeccable and protected the leather from any damage. I'm so impressed! 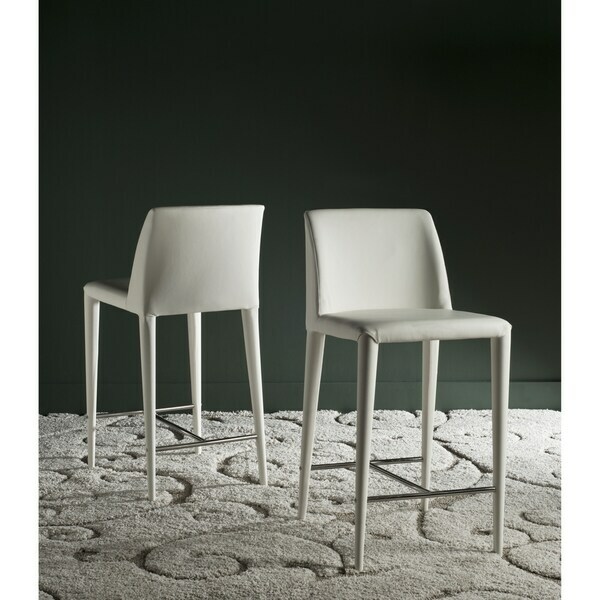 These chairs are gorgeous and comfortable and work great in a bright white kitchen. My 3 year old is able to easily get up and down on them too making them sturdy as well as stylish! We could not be more pleased with these counter stools! We ordered two pairs. They arrived promptly, well boxed and without damage. The leather is incredibly soft and well stitched. We ordered white chairs - they are a soft white, not a harsh white. We are so happy with our purchase that we intend to order two more to keep in the box in case one of our teens somehow destroys the chair (taking bets now). Purchased 4 for my kitchen island. These are very well made and arrive in huge boxes assembled. Both first sets arrived wobbly and torn, overstock rectified the problem. Bought 3 sets! Soft and super comfy. Perfect for my rustic modern farmhouse kitchen. Clean lines wipe clean. A couple has very very small cuts in the pleather on legs but not noticeable enough to return. Only reason for the 4 stars - product is five star. These chairs are at my kitchen counter and completely make my kitchen. The quality of the leather is soft yet durable. They are so comfortable and I am SO pleased. Exactly what I wanted, at a more affordable price. Thank you Overstock. You have yet to let me down. These chairs garner compliments from all our guests for their beauty but, WOW, we get roars of approval when they sit on them. No kidding....I have given their product information to at least 20 friends and family. I ordered them in two colors, taupe and white, for two different homes and they look fabulous in both kitchens. These chairs are all that and a box of chocolates. They look fantastic. They have been in my home a couple of weeks now and of course, I was trying to baby them. (Maybe because of newness and the color?)... well, my kids and their friends put a quick end to that... I watched on as feet were pulled up into the chair. Not wanting a museum as a home, I have cleaned off combat boots treads, dirty feet prints, something unidentified but definitely green.... and the bar stools continue to impress! a bit pricey for the quality of the "leather"; otherwise the chairs are of good weight, look great. Absolutely beautiful! Perfect for our new kitchen! We have had these chairs for months. With a family of 5 I was nervous how they would hold up, however they have done remarkably well. We get many compliments on these stools! Beautiful look, feel and comfortable. Gorgeous and comfortable! They look way more expensive than they are! WE love these barstools! They are more comfortable than I thought they’d be. "When will you get more in stock?" "How high is the seat from the floor please?" "hi, i need three chairs. do I have to buy 2 pairs? (no room for 4)"
We only sell these chairs in sets. "Are these chairs a nice bright white? 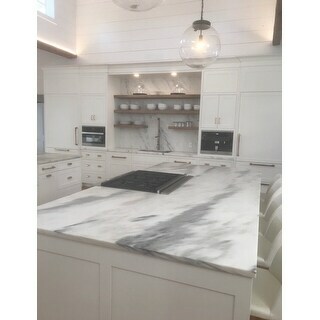 They will be in a kitchen with white lacquer cabinets so I can't have off white. Thanks!" Hello vicki1969, the only information I was able to obtain from the manufacturer is "This chair should be white. However if the customer receives a chair that does not meet their expectations, they can return it." If you have any other questions please let us know. Have a great day! Hi vicki1969.. Did you end up getting these chairs? 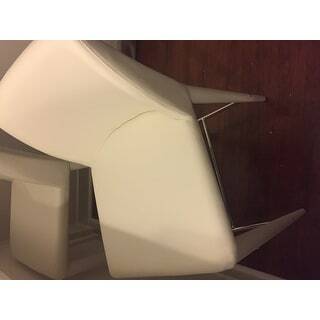 I am also working with white lacquer furniture, and was wondering the same thing. If you purchased and have any further insight, that would be great. Thank you in advance! We liked the modern style and great reviews. They look easy to clean.